There's a kind of understated malevolence to the fact that high school friends Bek Moore, Rachael Cooke and Alison Bolger called their band "Clag" and their only album "Pasted Youth"; also the fact that, for the brief period in the '90s in which they existed as a band, they played shows with their backs to the audience and masks stuck to their heads. It's the same weirdly mild sense of anarchy that Young Marble Giants evoke, and that's not where the similarities between these two bands ends: the melodic bass and studied uninterestedness of the vocals on tracks like "Harry" also bring to mind the legendary Welsh quartet. It's brilliantly intriguing stuff from one of Australia's most undeservedly forgotten bands, and that's why it's fortunate that Chapter Music are reissuing Pasted Youth next month (preorder it from the label website). 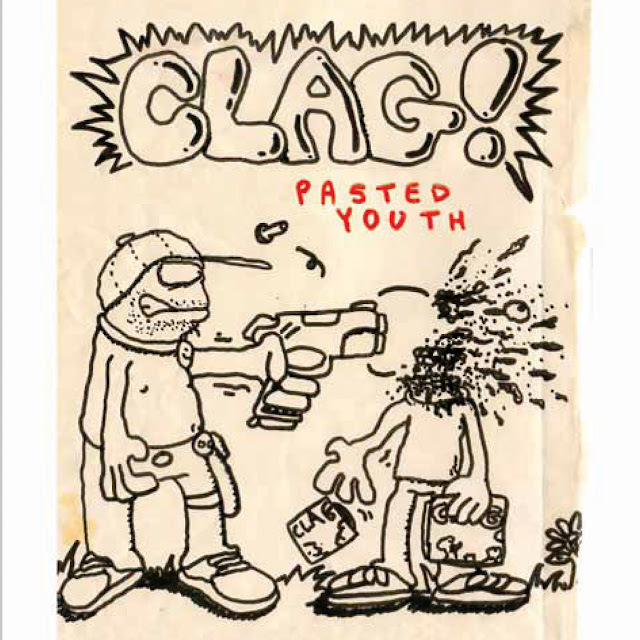 Chapter head honcho Guy Blackman told us "Clag were the most amazing band in the world in the early 90s"; it sounds about right!